Worried about the safety of your crawling baby? Do you wonder how to keep it out of the cabinets and away from potentially harmful elements? You have come to the right place! Our Invisible Safety Cabinet Locks will take care for you! What are you waiting for? You deserve to be relaxed enjoying the precious time with your baby! Grab yours while supplies last and get peace of mind! Just scroll up and hit Add to Cart today! 100% SATISFACTION GUARANTEED - Customer's satisfaction is our priority! 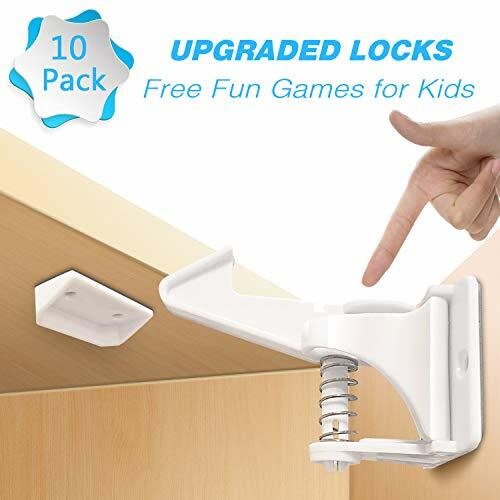 You can try our product risk-free, we are confident that our set delivers great quality providing the help you need for having a baby-proof home, If for some reason our baby safety locks do not meet your standards, get in touch with us for a replacement or a full refund, the choice is yours! If you have any questions about this product by fanson, contact us by completing and submitting the form below. If you are looking for a specif part number, please include it with your message.